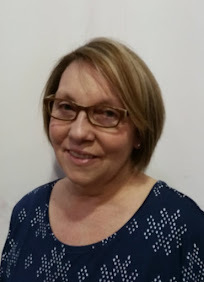 September is just around the corner, and that means back to school for my grandchildren. 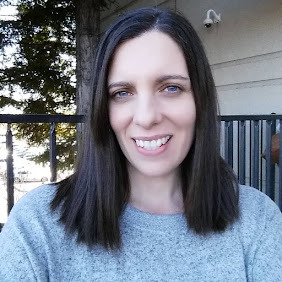 It's an exciting time for them, and they have been busy shopping with their mom and dad for school clothes, new backpacks, and school supplies. I thought it would be fun to surprise them with these delicious kids desserts that I knew they would love. As I was making them, I couldn't help but feel nostalgic about using Cool Whip and Jell-O Pudding to make desserts for my own kids for so many years. The time seems to have flown by, and now I'm making them for a whole new generation of our family. I know that life means change, but one thing that hasn't changed is how much kids love pudding and Cool Whip. I decided to get a little fancier that usual, so I made these Raspberry Brownie Parfaits, and it only took a couple of minutes to put them together. There are so many delicious recipes that you can easily make with Jell-O Pudding and Cool Whip. When I'm buying my weekly groceries at Walmart, I always make sure they are on the shopping list. These Kraft products have always been very friendly to my budget, and right now you can get $1.00 off when you buy one (1) tub of Cool Whip and two (2) boxes of Jell-O Pudding, while supplies last. Just click HERE for the coupon. For these Raspberry Brownie Parfaits, you can make them from your favorite brownie recipe, or use a high quality mix. It's super simple to put these parfaits together, and you could even have the kids make their own. Just start with a layer of chopped up brownies on the bottom, a layer of Cool Whip, some chocolate pudding, and a layer of raspberry jam. Add some more Cool Whip, and top with a few fresh raspberries. Use medium size dessert dishes for making these parfaits. 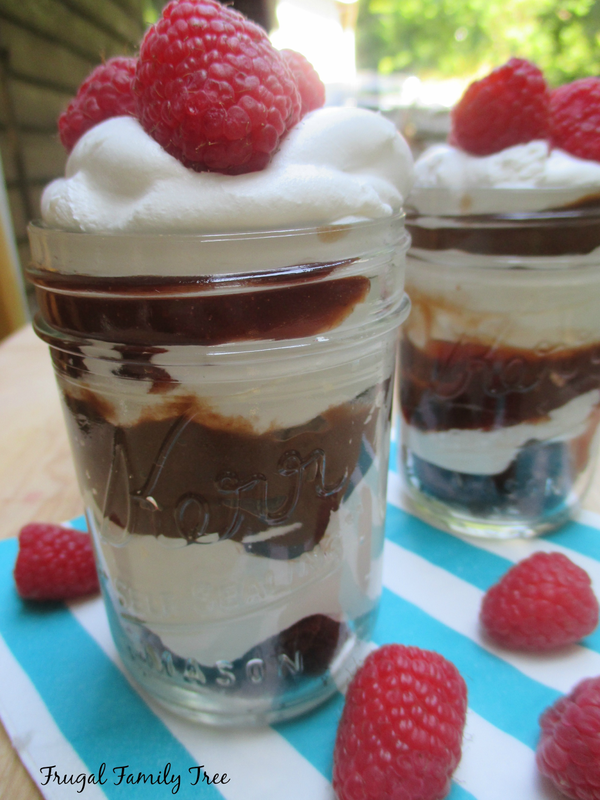 I used these cute mini Mason jars that I picked up at a flea market, and they were perfect for kid sized desserts. My grandson Jayden loved his surprise snack. I enjoy making the kids treats, it's a part of being a grandmother that really gives me a lot of pleasure. He asked me if I could make this as an afterschool treat when they are back in school, and of course I said I would. 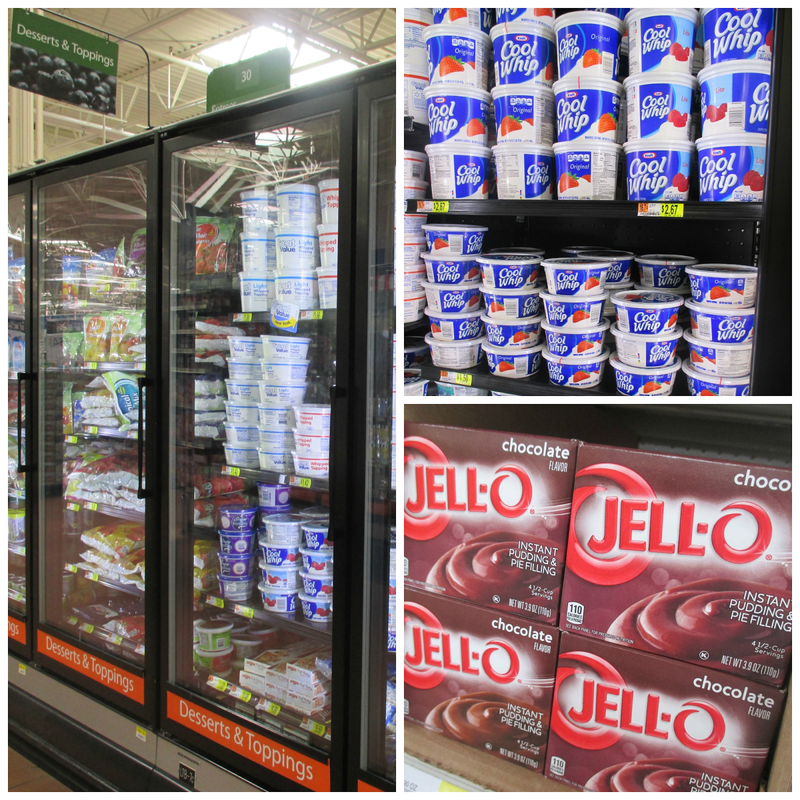 You can easily find Cool Whip and Jell-O Pudding at your local Walmart. I think they have the biggest selection of pudding flavors available. You can also find Cool Whip there in various sizes and varieties. It's been a great summer so far, and I'm glad we have a little while left before the busyness of fall takes over, and the days begin flying by. 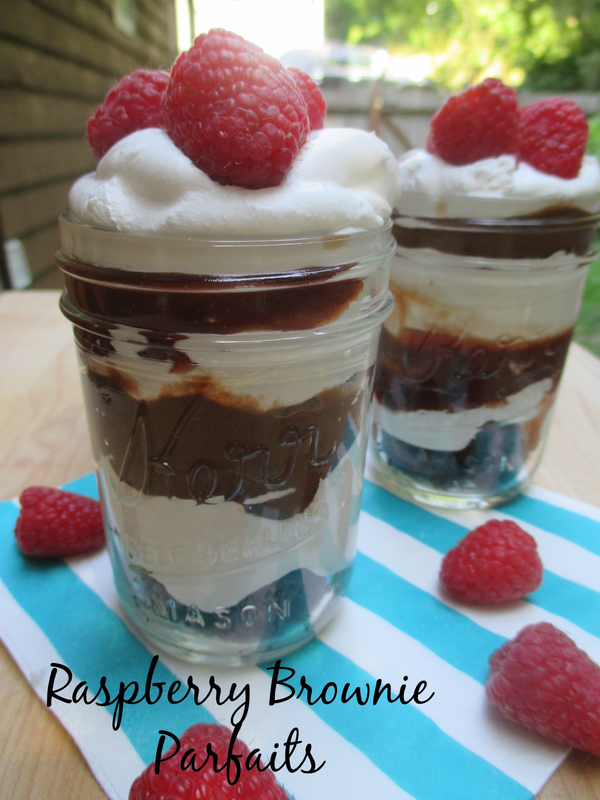 I'd love to share my super easy recipe for Raspberry Brownie Parfaits. And the adults love them just as much as the kids, trust me. In a medium bowl, combine pudding mix and milk, blend with a wire whisk for 2 minutes. Place a generous layer of the chopped brownies in the bottom of a dessert dish or glass. Put on a layer of Cool Whip, chocolate pudding, a layer of jam. Finish with a generous layer of Cool Whip. You may also alternate layers as you please. Add fresh raspberries on top of Cool Whip. Thank you!! They tasted great, too.